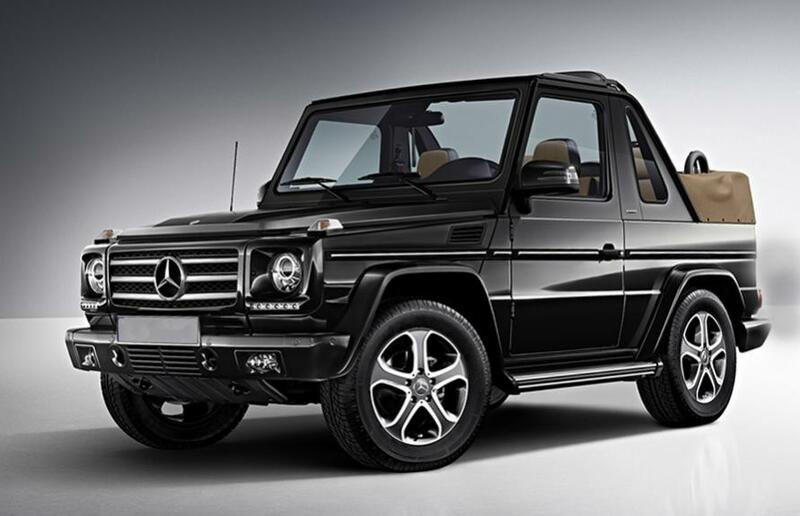 This evolutionary vehicle carries traditional G.Wagen hallmarks and all of the latest equipment and features. Quick and sporty, it seats four adults, taking them everywhere with unparalleled comfort and confidence. The only 4-wheel drive vehicle with a fully-powered convertible top. And with fully-framed steel doors, framed windows and windshield, and a roll cage over the B pillars, it ís the safest soft-top off-road vehicle in the world. It ís also the quietest, with three layers of sound-deadening material in the soft-top construction. Is it any wonder this is the best-selling G.Wagen by far. Carry the kids and the dog to the soccer game, haul the crew and the sail bags down to the yacht club, get everybody up to the mountain in the worldís most comfortable ski lift. Whatever the destination, whomever the passengers, there ís room and performance to spare.